Unknown to us, HRH Ibrahim of Johore, a British friend and ally were befriended by ReichChancellor Adolf Hitler. His relation with Adolf Hitler were not secret. Some source were reported that, during his visit to France sometimes in 1939, before he leaving to America during the War... he was received secretly by Adolf Hitler at Paris Hotel. HRH Ibrahim were detained by France Police and handed over to British Consulate. Due to this incident, Governor Shenton Thomas, like many attempts by his predecessor, unsuccessfully tried to get Colonial Office to block him from return to Johore. 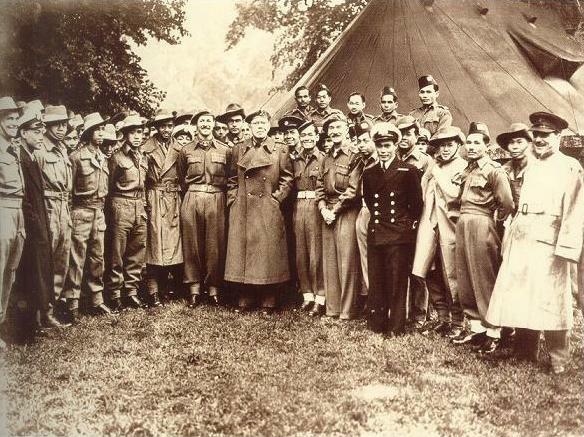 In return in the most sarcastic manners, the HRH Sultan Ibrahim thrown $250,000.00 pound to British Government and another $ 500,000.00 were given to the Queen, which later were used to defend Singapore from invading Japanese armies. On top of that, he expelled all his Jews Doctor, and dressed all his troops with Facists style arm-bands and coats. Philipine's and other source reported that, he also met Hitler's henchmen, Goring and Mussolini during his trip in Europe in 1934 before he left for America. Is when the last chinese Emperor bestowed the 1st class Dragon medal to HH Albert Baker at Tyersall Palace, Istana Tyersall, Singapore. This another 'lost treasures' is amongst the award that has been vanished from history..
A pair of chair like the above are very common in Chinese noble's house for ceremonial function, wedding etc. This particular chair were located at Singapore, owned by Chinese Business men. Thru his contact, he managed to identified the 'origin' of his chair. The Chair resemble a cantonese in design from the late 19th to 20th century. Probably manufactured in the Cantonese town of Shandong province. The early 1900's republic pieces are commonly carved with dragons' 5 claw. On contrary, some expert found that this chair has royal provenance. 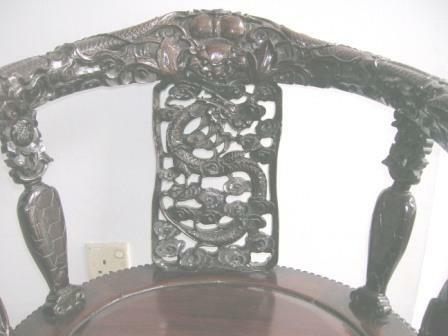 A python dragon carved at the pair of royal provenance dragon chair has 1 pair of 4 claws (instead of 5 claws). 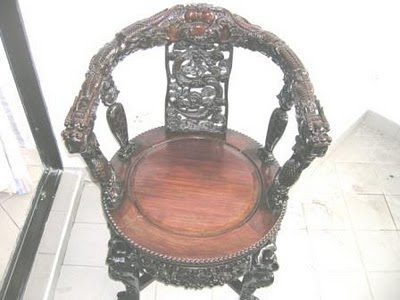 It is strongly believed to be gifted to Sultan Abu BAkar on 10th December 1892 and the pair of ryal provenance dragon chair is classified to be Qing Dynasty's furniture instead of Republic Furniture. Another set were later found at Royal Museum of Istana Besar Johor - thus, that would make the accounts given by Singaporean were invalid. 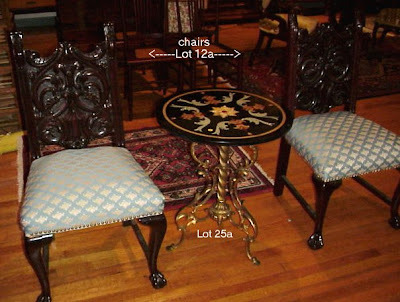 A pair of Provenance Dragon Chair could not be separated as it were given as 'gift' as it must come in pair. This may led to believed, this surviving set in Singapore were the set that is stolen during the big fire which destroyed Tyersall Palace in 1905, along with other missing treasures that now emerged as auction items overseas.